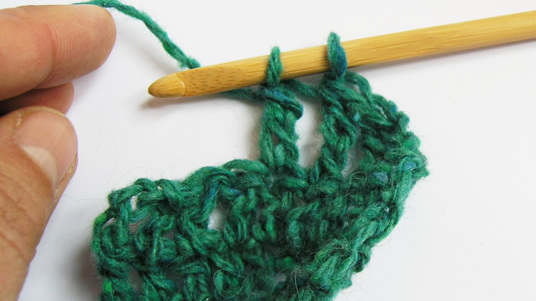 In my designs I like to use one of the coolest features of crochet: the ability to work stitches of different heights in the same row, to add shaping for instance.. But sometimes it’s not so easy to remember which is which. 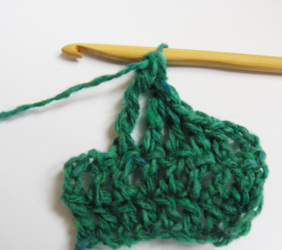 1 - Start with a double yarn over (wrap yarn twice around hook). 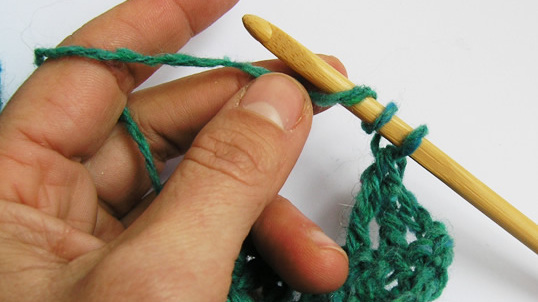 You have a total of 3 loops on hook. 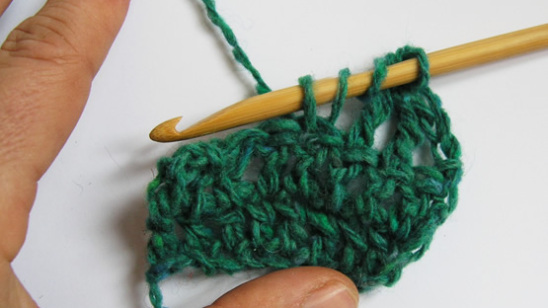 8 - Yarn over and pull through both remaining loops. 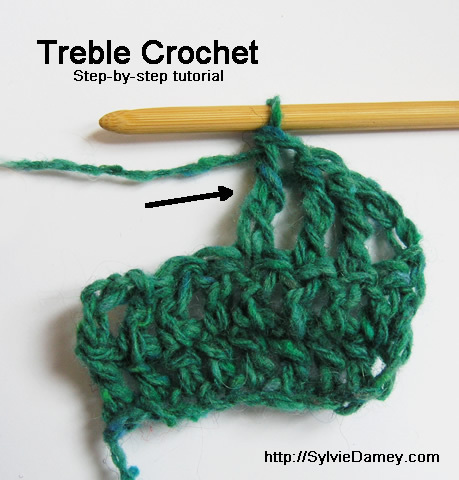 9 - Treble crochet is finished. Repeat from step 1 to make another Treble. 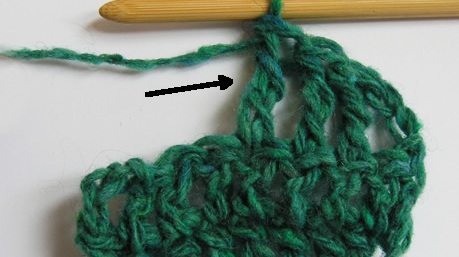 1 – Start with a double yarn over (wrap yarn twice around hook). 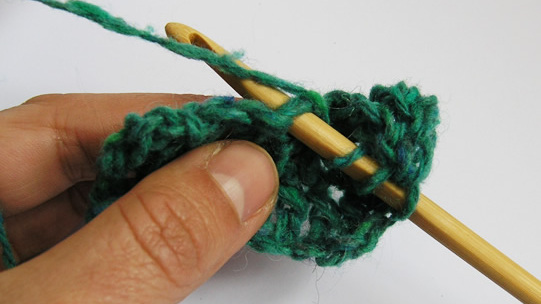 You have a total of 3 loops on hook. 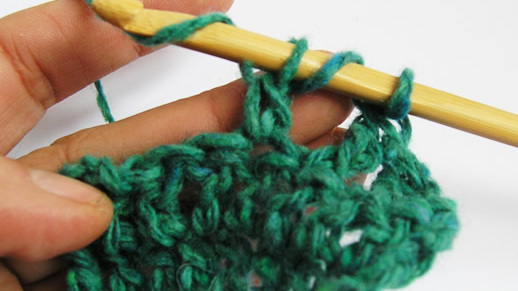 8 – Yarn over and pull through both remaining loops. 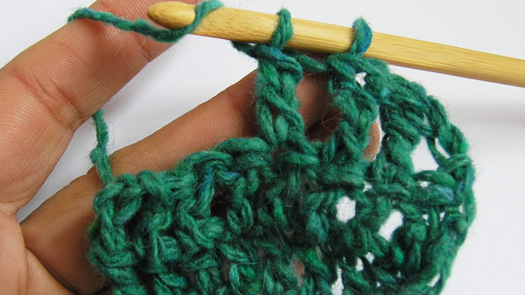 9 – Treble crochet is finished. 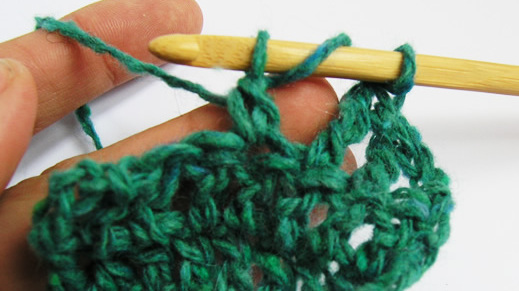 Repeat from step 1 to make another Treble. 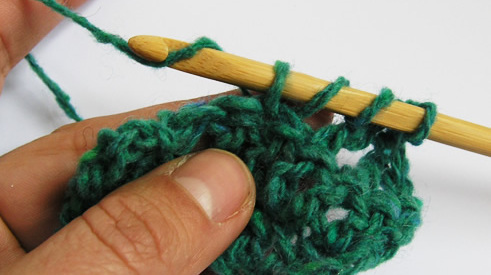 To make a QUADRUPLE crochet, it’s basically the same, except you start with a triple yarn over (wrap yarn around hook 3 times), and repeat steps 4-5 once more (number of remaining sts being different obviously).